Websharan Infotech is the finest Android Training Institute that provides Android training in Jaipur, which inclines towards making of a better career for the students. Android is the prime OS for developing applications. Android is a free, open source platform available for anyone to us. Our Institute is just a perfect platform to launch you in the market with industry oriented Android Development Training program, which help students to become Android App developer.So Learn how to create Android App in Development through hands on Real Time Projects. 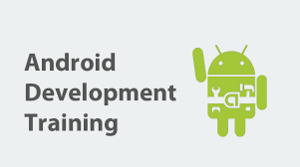 Android is the easiest programming language that is designed for the Mobile Application Development. To learn Android Programming, you must go through the basics of Java and other front end technologies. We covers the basic introduction, Object Oriented Programming Concepts (OOPs), Interface Design, Memory Management, Databases, Layout Designs, Android System Overview, Android application development and more.